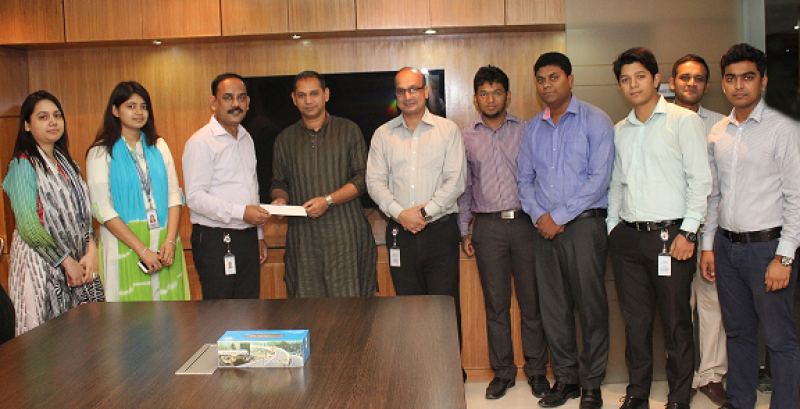 ORION GROUP has recently contributed with monitory donation for the treatment of Mr. Kazi Ekramul Bashar (Tuhin), a former player of Bangladesh National Team and a member of Mohamedan Football Club. Mr. Tuhin has been suffering from Stomach Cancer for last few years. 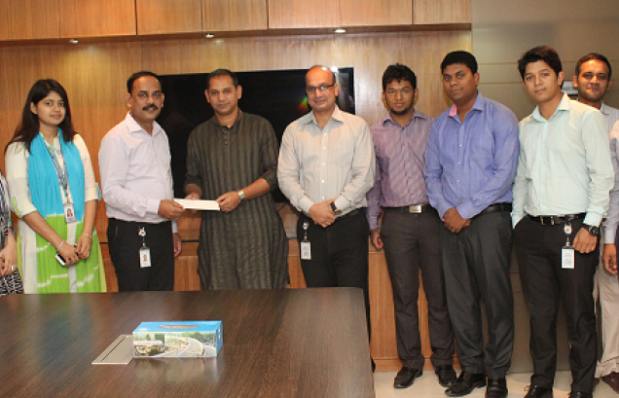 On behalf of Mr. Mohammad Obaidul Karim, Honorable Chairman of ORION GROUP, a cheque of BDT Two Lacs was handed over by Mr. Sazed Karim, AVP, Admin and Mr. Faisal Rahman Ferdous, AVP, HR of Orion Group to Mr. Tuhin’s brother Mr. Habibul Bashar Sumon, for the treatment of cancer with a commitment of further assistance.